Cncsolutions is ranked 3,670,710 in the United Kingdom. Theplanet.com Internet Services Inc (Texas, Houston) is the location of the Apache/2 server. 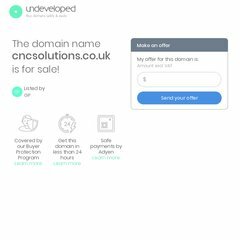 Cncsolutions.co.uk's server IP number is 174.122.3.61. Its 2 nameservers are ns2400.hostgator.com, and ns2399.hostgator.com. PING (174.122.3.61) 56(84) bytes of data. Pinging the server, resulted in a 36.6 ms response.